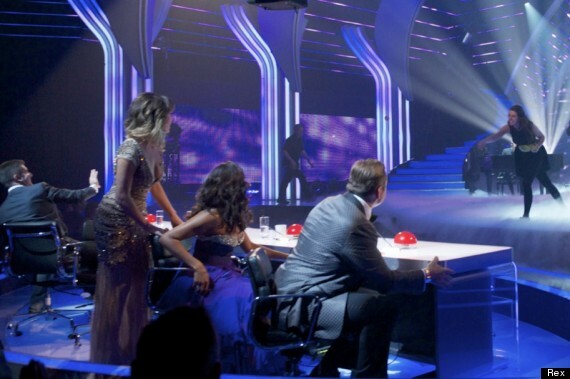 Britain's Got Talent final was disrupted by a woman running from the back of the stage and pelting Simon Cowell with eggs. 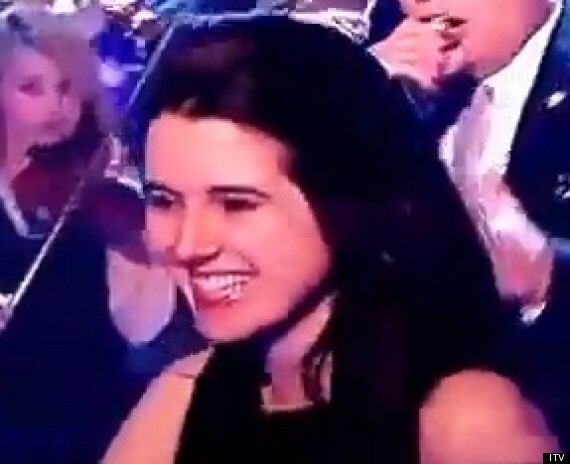 The young woman was identified as Natalie Holt, who was a member of finalists Richard and Adam's backing group. "I want to apologise to Richard and Adam for overshadowing their performance. I've never done anything like this before and in hindsight I have realised it was a silly thing to do." It has emerged that Natalie was a member of Raven Quartet, who appeared on the show themselves in 2012. Both television viewers and those in the audience watched, transfixed, as Holt, who had been working as a violinist during Richard and Adam's performance, seized her moment. As the doors at the back of the stage opened, she put down her violin and ran forward with the eggs. Simon Cowell had to remove his jacket, but remained otherwise unperturbed, merely saying, "I tweeted yesterday that I didn't like eggs, now I really don't like them... I thought she was throwing sandwiches at me." The rest of Natalie's band have made it clear they weren't involved, tweeting, "Just to clarify.... The other 3 of us were working elsewhere today and found out when you did." And Amanda Holden was more succinct, calling Natalie "a stupid cow" for her actions, for which the BGT will be taking no further action at this stage.